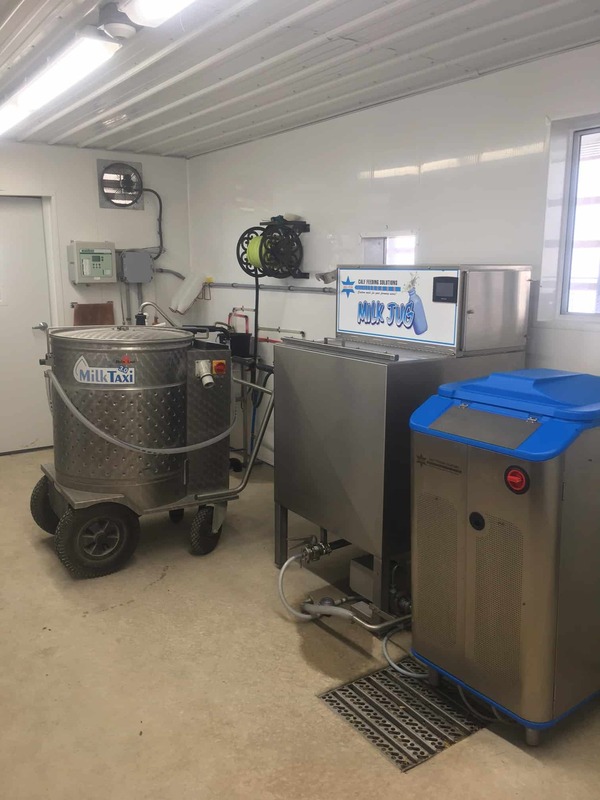 Until now, the only solution for cooling milk for special calf feeding needs was to install a full sized bulk cooler. And, with very limited space in the equipment room or calf barn, this was not a viable solution. 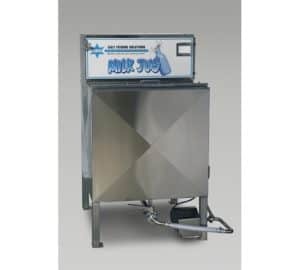 The Milk Jug is specially designed for these special applications where waste milk needs to be cooled in a limited space. 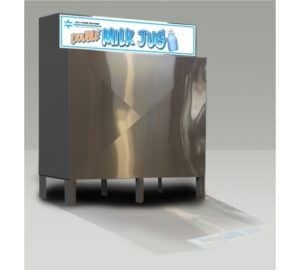 The Milk Jug comes in 50, 100 and 200-gallon sizes. 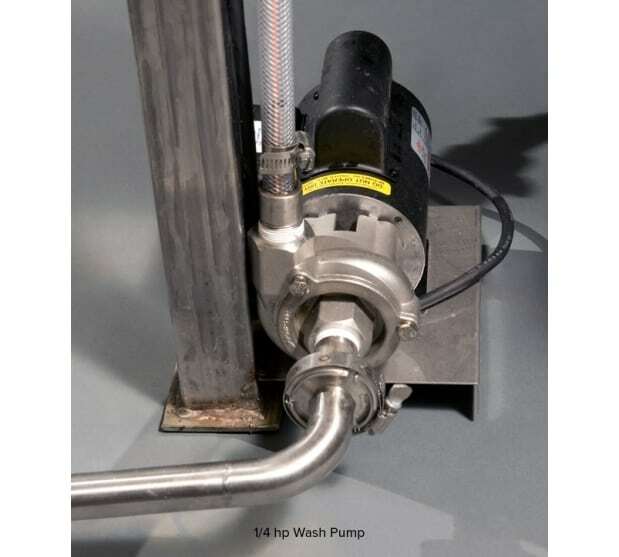 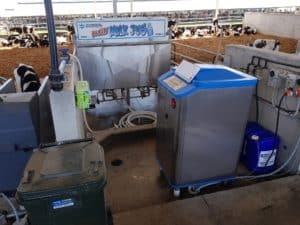 Connecting the Milk Jug is extremely simple, requiring a standard 20A, 220VAC plug, cold and hot water, and bulk washing detergent. 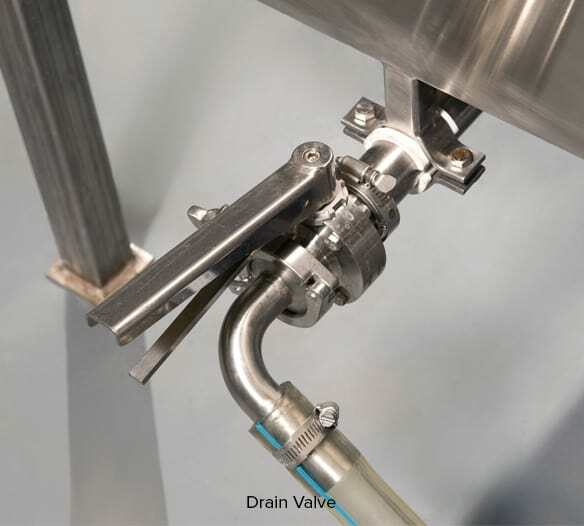 Modular design allows it to fit through a 36″ doorway, allowing it to be installed in most locations. All the same great features as the single Milk Jug plus more! As Tank 1 empties, the unit automatically switches to Tank 2 and begins washing Tank 1.